February is here, and with it blooms the celebration of achievements championed by African-Americans of all trades: innovators, inventors, intellectuals, authors, artists, athletes, etc,. In honor of the great works of my ancestors, I figure the most appropriate, and fun, way to celebrate Black History Month is through a retrospective analysis of significant films written, produced, and directed by black filmmakers. If the portrayal of black people in films throughout the ages has shown us anything, it has been that proper representation blacks has proven difficult to fully render due largely in part to stereotypes and negative portrayals that have been implemented for generations. The black experience is far too ubiquitous to capture in a mere hour and a half narrative, however, there are cultural norms and situations that members of the black race uniquely share. The ability to pinpoint and relay these representations to audiences successfully is difficult, but I’m interested in exploring what exactly makes narratives by black directors true to life. No good list or compilation would be complete, or should even be held in regard, without mentioning Oscar Micheaux. Beginning in 1919, Micheaux made his mark on the world as the first black filmmaker. A child of former slaves, Micheaux developed a keen sense of self-promotion and business skills early in life that led him to excel in various trades he picked up throughout his life. Micheaux stumbled into show business as a result of his growing desire for self-expression. He wrote his first novel in 1913 and four years later published his follow up, The Homesteader. By 1918, Micheaux founded The Micheaux Book and Film Company, a self-owned production and publishing company that allowed him to turn his semi-autobiographical novel into a film of the same name. By the end of his career Micheaux had produced nearly 45 films and seven novels, a spectacular feat for a black man during his time and even by today’s standards. Micheaux used his films as a means to counteract negative portrayals of African-Americans seen by the masses during the era. D.W. Griffith’s cinematically sensational, though notoriously racist, film Birth of a Nation took America by storm in 1915 becoming a box office smash although reeling in controversy from its inception. Furthermore, it was responsible for spearheading the resurgence of the Ku Klux Klan in America. Within Our Gates, Micheaux’s sophomore film, is a thought provoking drama that interrogates the widely known stereotypes of blacks often depicted in media outlets of the time. Within Our Gates instead strives to act as an uplifting view of the black race while promoting the expansion of intelligence in hopes of a prosperous future. Within Our Gates follows Sandra Landry (Evelyn Preer), a compassionate woman followed by tragedy and sorrow. Sandra begins the film happily engaged to Conrad, but Sandra’s jealous cousin, Alma, pits Sandra in a compromising situation with another man in order to win Conrad for herself. After a blowout with her fiancé, a defeated Sandra travels south where she meets Revered Thurston, the owner of a school for rural black children. Although enlightened by the ideology of the school, Sandra is dismayed to learn that it can barely function on the measly $1.98 a year provided by the government. Sandra is determined to raise money for the school deciding to travel north in order to raise $5,000. There she experiences hardships as well as the kindness of strangers. Furthermore, we learn of her back story and the sheer humanity she holds within. Within Our Gates at times is a bit clunky; Micheaux was an amateur during a time when filmmaking was still in its infancy. As a result, Within Our Gates is roughly lit and riddled with poorly captured moments that one could expect from a film of its time period. But, none of that detracts from the story being told or the understanding of each character. Micheaux brilliantly crafts his story and characters in ways that gives Within Our Gates its ultimate importance. Within a span of minutes we watch Sandra’s relationship with Conrad violently deteriorate at the film’s start just so her preceding relationship holds a greater impact and results in joyous catharsis. Sandra is developed to be an inspiring character that chooses to never reminisce on her hurtful past and instead moves forward out of a personal desire to help those less fortunate than her succeed. 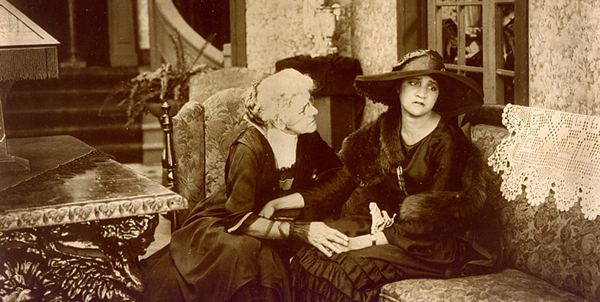 Micheaux grants us scenes in which Sandra is restless at night losing sleep thinking about the plight of her people. Such a simple, quick moment provides her with admirable, humane qualities which allows us to root harder and louder for the positive moments in her life but also feel wrecked with grief at her pains. The eclecticism of black culture depicted by Micheaux in Within Our Gates is a direct slap in the face to the images of one-dimensional stereotypes bred from ignorance held by society during the period. Micheaux’s characters are school teachers, detectives, intellectuals, and businessmen while others are selfish thieves, misguided preachers, ignorant crooks, and humbled farmers. Like all humans, Micheaux’s characters love, hate, fear and feel shame. Micheaux’s exploration of the multifaceted careers and life goals of his characters reminds its viewers of the existence of black consciousness and awareness, a notion largely forgotten by whites of the time. Micheaux even includes a scenes in which a racist friend of a philanthropist reads a newspaper articles stating: “from the soles of their flat feet to the crown of their head, Negroes are, undoubtedly, inferior beings” to which she smiles and nods in agreement, reminding viewers today of the freighting mindset and ignorance of those of past. Within Our Gates focuses on a core group of people whose ideals reflects that of its filmmaker and myself; the desire to uplift the black race. 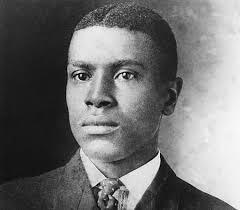 Micheaux was an advocate fighting to enlighten the race to prove to ourselves and the world that blacks are capable of incredible achievements, a message clearly evident in Within Our Gates. A personal sense of enlivened inspiration washed over me upon watching Micheaux’s call to the black race, and my intention is to relay his message to all races: We are the masters of our own destiny. We, as human beings, are capable of changing the world for the better. Through self-awareness, patience, and passionate empathy for our brothers and sisters, each and every individual one of us can make a difference. We just have to want to. Micheaux’s legacy is proof.